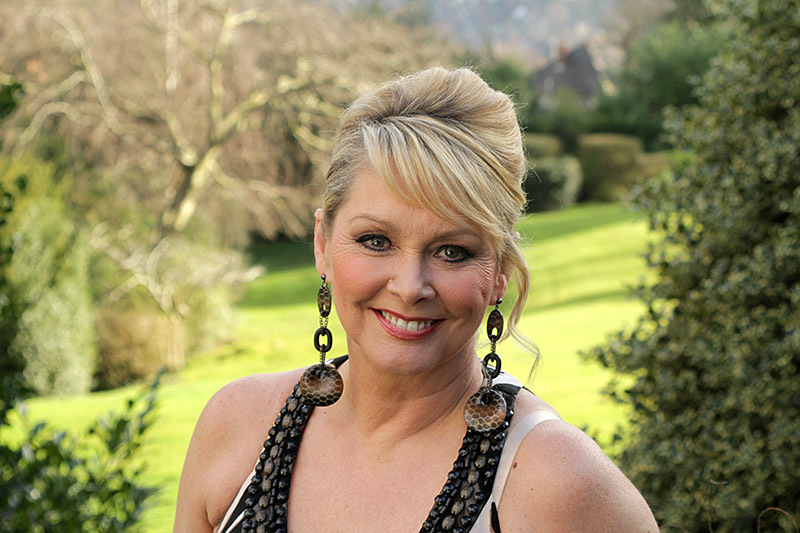 We had the absolute delight of being able to chat to Cheryl Baker from Formerly of Bucks Fizz recently. A section of this interview appears in the official Brewood Music Festival programme but here is the interview in full. BMF – Things really seem to be on a high for you and the band at the moment? Cheryl – I think since we’ve had Bobby McVay in the band and gone back to performing as a four, it’s the format that everybody recognises. We did a lot of gigs and festivals last year with the Paradise Regained tour and word gets around. This year we’re doing more Festivals, including Brewood of course, and the Make Believe Tour and it’s just a knock on effect where the more you do, the more people want to see you and then see you again. It’s been really wonderful. BMF – Have you been surprised by people’s response to you touring again? Did you ever worry that your audience might not be there anymore? Cheryl – No. When we go stage, the place rocks. Always. We wear the outfits, including the rip-off skirts (not the same ones I hasten to add), do the routines and sing the songs everyone knows. We had 3 No.1s, 3 Top Tens and another 3 Top 20 hits, so a lot of singles that people remember. When we perform we always get the greatest reaction on stage. So, I wasn’t surprised but I am really pleased when you see people jumping up and down and singing the songs. We do all the original dance routines and it’s great when you see the audience copying them. And I really love it when it’s a specific 80s themed gig and people dress up too! BMF – There were certainly a lot of hits. Cheryl – Yes and often when we do things like “Piece of the action”, people will say ‘oh I forgot about this one’ or similarly with something like “Can’t stand the heat” where people say ‘I love this one’. BMF – I guess it’s just down to them being perfectly crafted pop songs, being performed really, really well? Cheryl – Well we had an amazing producer who also wrote most of our songs and he was just a genius. BMF – How does performing as a group now differ to those days back in 81 or 83? Cheryl – They were great days. We were travelling the world and seeing amazing things but the pressure was really on us. It was all about selling records and we doing the gigs but for us we were getting 5% of 90% split four ways, ending up with a minimal amount of payback. And although the writer, record company people were earning lots of money and buying big houses I don’t regret anything because it was our opportunity and it gave me my life. Winning Eurovision really gave me my life. Nowadays we do the gigs because we love them and it’s huge fun. It’s great doing festivals when you meet up with guys who were in the charts at the same time as you and you can catch up on conversations you started 35 years ago! We’re actually recording again too! We’re doing an album with Mike Stock from Stock, Aitken and Waterman who always wanted to do a vocal album with singers who can sing, and we are that band. We’ve completed two tracks and have another eight to do. BMF – Do you think your performances now, without the pressure, are better for it? Cheryl – Yes they probably are. We’ve still got the energy and yes, although we’re older now, it probably is better. Our show is certainly as good as it ever was but without the pressure. Being older we’re more sure of ourselves and can have more fun on stage. Previously even our talks to the audience were scripted but now we’re free to interact with the audience giving a really great vibe. BMF – Given hindsight, what advice would you have for 1981 Cheryl? Cheryl – Oh golly, I don’t know. You learn along the way and nowadays with things like the X Factor where you get instant success I think it must play with your brain. You need to learn your craft, earn your stripes as it were, so I think I’d leave everything just as it was because there was a lot of learning to do. Even if I was able to offer advice I doubt I’d have taken it, so maybe it would be – don’t take advice, find your own way, work hard at your craft and just don’t be late! I was notorious for being late, and I was even threatened with the sack from Bucks Fizz once because of it. Apart from that it’s a learning curve and you have to learn. You can’t just jump to the top of the pile. BMF – If you had to explain to someone with no knowledge of you at all, how would you describe Formerly of Bucks Fizz? Cheryl – A four piece vocal harmony pop group. That’s it, in a nutshell. We sing pop songs. BMF – Was a music career always your ambition and who were/are the people who inspired you? Cheryl – Ever since I was pre-school I wanted to be a singer. I would dress up in my Mum’s clothes and shoes and there was a park behind the block of flats where we lived, with a little stage, and I would stand on the stage and sing songs. I thought they were old ladies sitting there but they were probably just Mums, and while my friends were saying they wanted to be a nurse or a teacher, I wanted to be a singer. At 16 I joined an amateur operatic society and did some big, very traditional shows, like “The Merry Widow”, “Carousel” and “The Boyfriend” and I absolutely adored them. They gave me the grounding for standing on stage and singing in front of people, because I was terribly nervous as a child. At 21, I was working in the City in London as a shorthand typist and there was an advert in one of the music magazines for a girl singer. I looked at the adverts all the time and this time, finally bit the bullet, rang up and went for an audition. That band was called “Mother’s Pride” which within 6 months time became “Coco” and we did song for Europe finishing second to Brotherhood of Man. Two years later did it again and won, ending up going to Eurovision. For me, not only was my ambition to be a singer, but having seen Sandie Shaw win Eurovision I thought that’s the ultimate. The equivalent of an Olympic gold medal but for music! I really thought it would never happen to me as I was just an ordinary girl, living in the East End of London and those sorts of thing simply don’t happen to the likes of me. In terms of inspiration my ultimate heroine was Joni Mitchell because I was a bit of a hippy. I adored her then, late sixties / early seventies, and still do. My hero was James Taylor who was in the same kind of genre. For me it was all about the lyrics, beautiful melodies and the harmonies; Crosby, Stills and Nash were another I loved. So, that’s why I’m in a pop band, a Eurovision winning band, singing harmonies and still loving it! BMF – Pop Star, Eurovision winner, TV presenter, marathon runner, West End performer and star. Can there possibly be anything else left on the to do wish list? Cheryl – I would love to do the Jungle! I’ve been put up for it so many times but they’re just not interested. In truth I was ticking off my bucket list from a very early age, the Eurovision Song Contest, to perform in it and then to win it was my ultimate dream come true. My two daughters fill me with a great deal of joy and they’re actually doing a gig tonight and I’ll be along to support them. The one thing I didn’t do and would have loved to do, and can’t do now because I’m too old, was play Eliza Doolittle in “My Fair Lady”. My wish now is for one of my daughters to do so instead, for me to fulfill my wish through them. I’ve had a charmed life and I’m very aware of it. Things have obviously gone wrong at times, such as the coach crash, but I didn’t suffer as much as certainly Mike Nolan who had terrible head injuries. I’ve been a very lucky person. BMF – You did a lot a great work through HeadFirst? research into brain damage but we did a lot of work and raised a lot of money. I still do a lot of work for charities. I particularly like doing work for the smaller ones that are really striving to make a difference and I try hard to support them where I can. BMF – Finally, imagine you’re in the car driving alone and “Making Your Mind Up” comes on the radio. Do you sing loudly and wildly, just sing your own parts or turn it off? I don’t switch it off! It’s not my cup of tea, certainly nothing like Joni Mitchell or James Taylor! It’s not my favourite song but it is the song that gave me my life. I wouldn’t be married to the man I am, have my daughters, live where I do or still be performing on stage if it hadn’t been for that silly song and a bit of Velcro! I adore it, but I don’t sing along. I’m very proud of it, I turn it up and wait to hear what the DJ is going to say about it. In the 90s Bucks Fizz music was never played but now it is played quite regularly on radio stations so I definitely turn it up. I’m very proud of it. BMF – I guess it’s an iconic song and moment for many people, marking a particular time in their lives. Yes it is, and it’s always shown when Eurovision comes around. And the bit where the skirts come off means that even younger people recognise it. Even though Eurovision has seen more outlandish things, it’s still the one gimmick that everyone remembers. And, I think the gimmick thing works. The Eurovision Song Contest isn’t just about the song, it’s about the song and that special something that makes you remember it. Conchita Wurst with the beard and Bucks Fizz with the skirts, it’s why you remember them. BMF – Thanks so much for taking the time to chat. We’re really looking forward to seeing you at Brewood, we just need someone to organise the sunshine. Leave it with me, I’ll look after that! Cheryl, Mike & Jay Formerly of Bucks Fizz appear at Brewood Music Festival alongside Nick Heyward, The Ordinary Boys, Luke Friend, Federal Charm and The Lagan on Saturday 16th July 2016. Tickets priced at just £25 are available from The Mess Bistro in Market Square, Brewood or online by clicking here.